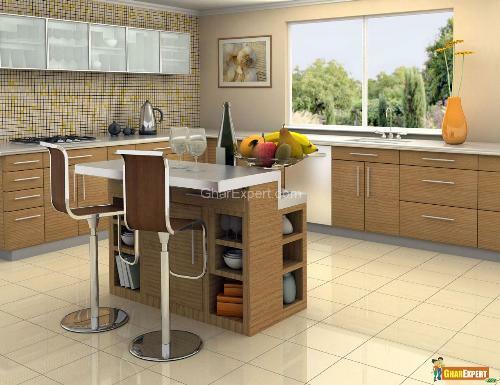 Kitchen island offers you the space for chopping vegetables and fruits. You can choose the islands with open or closed styles. Within kitchen islands, you can make space for wine rack and shelves. When you are going to make a kitchen island, then choose the best material which will give a harmonized look to your kitchen interior. Kitchen islands have become the need of the modern times as they are perfect solutions for extra storage within your kitchen. 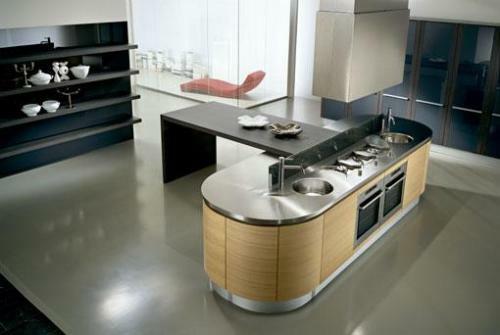 The concept of kitchen islands is the latest and now everybody would like to associate the island within the kitchen. But if you don’t have large kitchen or you don’t want to remodel your kitchen, then movable kitchen islands are the best option. 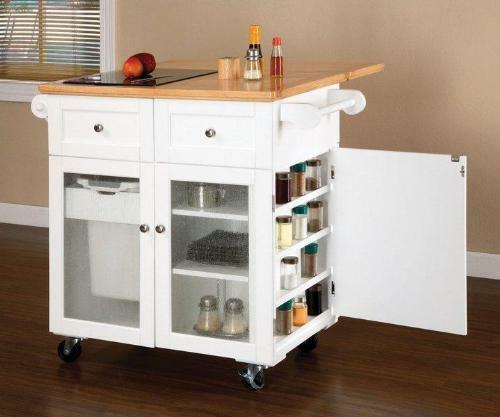 In practical, movable kitchen islands are best as you can take it anywhere in your home. If you have large kitchens, then install permanent kitchen island. You can use it as an additional dining space. Stylish bar stools in front of the kitchen island create a wonderful atmosphere where you can enjoy a cup of coffee or tea with your soul mate or any intimate friend. Various stones are available in the market and you can choose the best one according to your family needs as the stone kitchen islands are easy to clean and durable. The natural stones such as limestone, marble, and granite etc. 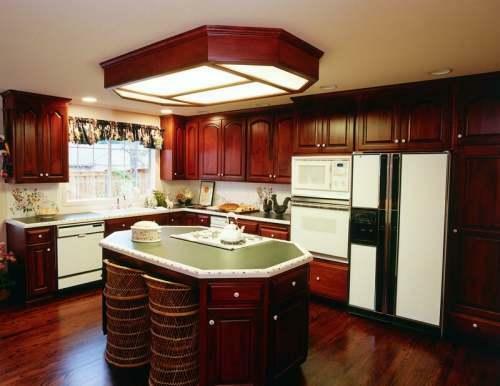 are commonly used for making kitchen islands. 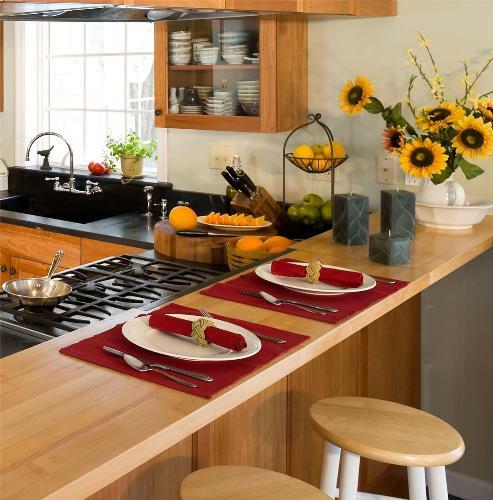 These types of kitchen islands offer a clean and smooth look to any surface. But they are not good as marble or granite stones. Due to the absorbent properties of the limestone, it can be easily affected with the stains. If you like light colors for your kitchen, then you can choose the limestone kitchen island but in high traffic areas, it is not a good choice as it accumulates the grease in large amount and gives a ugly look to the kitchen. 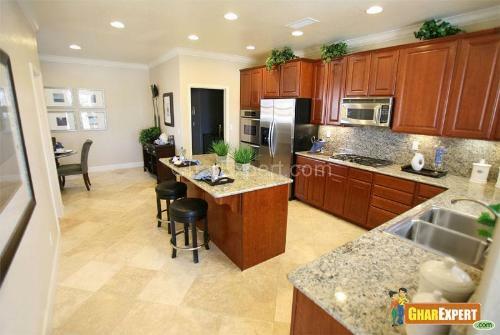 If you opt for a classical look, then marble kitchen islands are the most popular. Scratch resistant quality of marble makes its highly perfect for the kitchen island countertops. Marble is heat resistant, so you can use it as a countertop material for creating the kitchen island. Granite is the best material used for making the kitchen island countertops. The specific qualities of granite such as durability, hardness, resistant to stains and heat make it the matchless choice. A wide spectrum of colors is available in the market that is ranging from lighter browns to darker tones. If you don’t want to use stone, then wood is other best option for the kitchen island. Wood is always known for its superb qualities. Use best quality wood for making best chopping surface for the kitchen island. 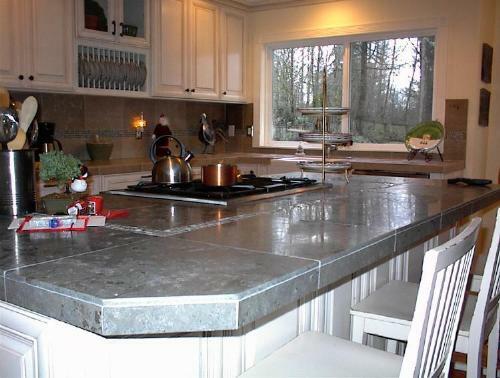 Steel is also used for making top of the kitchen island. Stainless steel islands keep their luster for a long time if they will be properly maintained. If you use best quality steel, then there are lesser chances of being scratched. 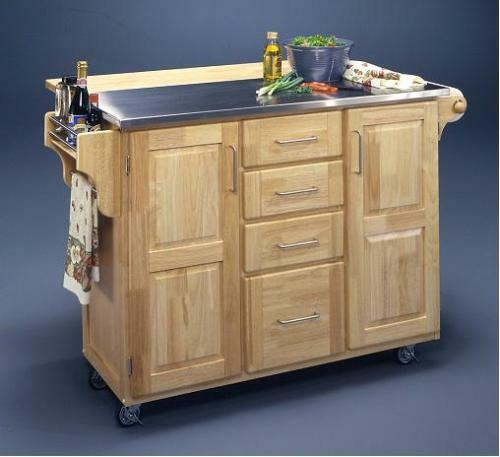 Movable kitchen islands are the best solutions for the limited space kitchens. When you need extra workspace, then movable kitchen islands are very helpful to you. They are commonly available in two different materials-stainless steel and wood. But other options such as granite, marble etc. are also available. Stainless steel kitchen islands are the perfect solutions for the kitchen interior. The top of the kitchen island is equipped with stainless steel and base with the dark wood. Non-porous surface of stainless steel does not let to accumulate dirt and germs over it. Stainless steel top kitchen islands are easy to clean and they run for a long time. Wood is known for its superior qualities and makes its elegance for a long time. 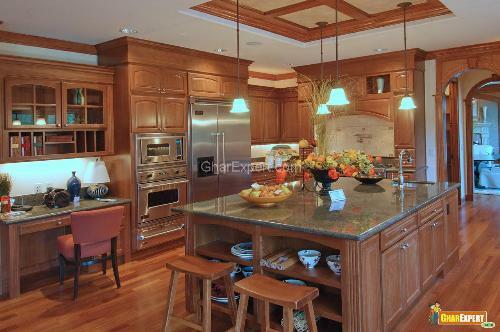 Wooden kitchen islands look simply great in the kitchen. 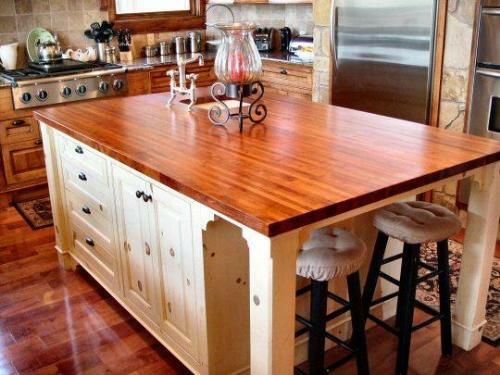 A simple and small design of wooden kitchen island is “Butcher Block”. On wooden surfaces, you can chop up the vegetables and fruits easily with no wastage of time. You can use it as a charming serving table when you going to throw a small party in your home. Add charming and enthralling table linens to the kitchen island to make it appealing and pleasing. Kitchen island also comes with granite countertop. 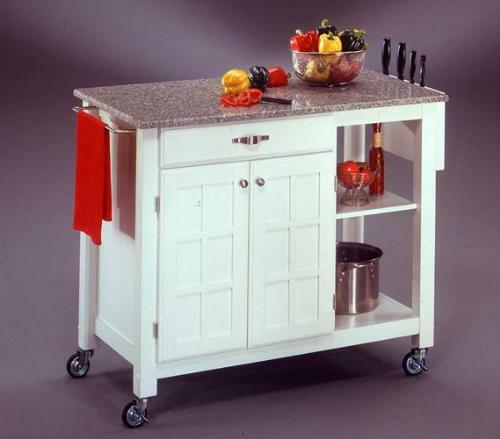 Granite top kitchen islands are so practical as they are heat and scratch resistant. You can chop the vegetables very easily as granite provides a nice surface for doing various activities of the kitchen. You can turn your kitchen island into the perfect dining area by placing some stylish and trendy bar stools or chairs in front of the island. You can use backless stools, wooden traditional chairs and wrought iron stools with cushions to make the kitchen island an inviting place. Flowers and decorative candles make the kitchen island more appealing and exciting place. Don’t use kitchen island in smaller kitchens, It is better to use portable or movable kitchen islands in small space kitchens. Install a second sink to the kitchen island to make it more efficient and functional. You can set up other items such as trash compactor, a garbage disposal, a recycle bin and a dishwasher. Keep these items close to the sink so that they work more efficiently. You can add shelves and a microwave to the kitchen island so that it will make your work easy. You can use your kitchen island as a home bar. Install wine racks that will give you an additional storage space when you will throw out a small party.